Cakes produced by BBF have been awarded top spot in two prominent categories at the prestigious Quality Food Awards 2018. 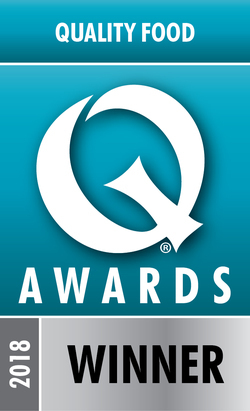 Running for almost 40 years, the annual Quality Food Awards recognise and reward the very best food and drink products available across the UK. Lidl’s Winter Wonderland Cake was named best Christmas cake, with Asda’s Cookies and Cream cake coming out on top in the celebration cake category. The cakes, both produced at BBF’s bakeries, were awarded first place by a panel of independent industry experts following a rigorous judging process. Asda’s Unicorn Cake, also baked by BBF, received commendation from the judges, who provided written feedback on every entry, making for a transparent process.